So what I want to say, what I really want folks to know, what I have to just get off my chest once and for all is… ready? I’ve gotten rejected 19 of the 21 times I’ve submitted for Monday Night PlayGround. 19 TIMES!!! OUT OF 21 TRIES!!! That’s batting .095! You know what else I’ve gotten in addition to those 19 rejections? 3. 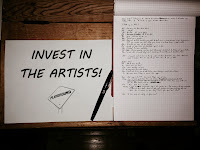 The most tangible means of gaining an audience and gaining an opportunity to present my work to the public imaginable. And all of that without including the life-affirming experience of working with the great director and cast for my play produced in the Best of PlayGround 2012. The way I see it, an investment in PlayGround is an investment in an intentionally designed space in which artists can grow, play, and be inspired to swing for the fence—every time—knowing there’s a real chance that ball could go out of the park, those curtains could rise, and the characters that vie so urgently for our attention could one day be known and quite possibly understood. So why don’t you? 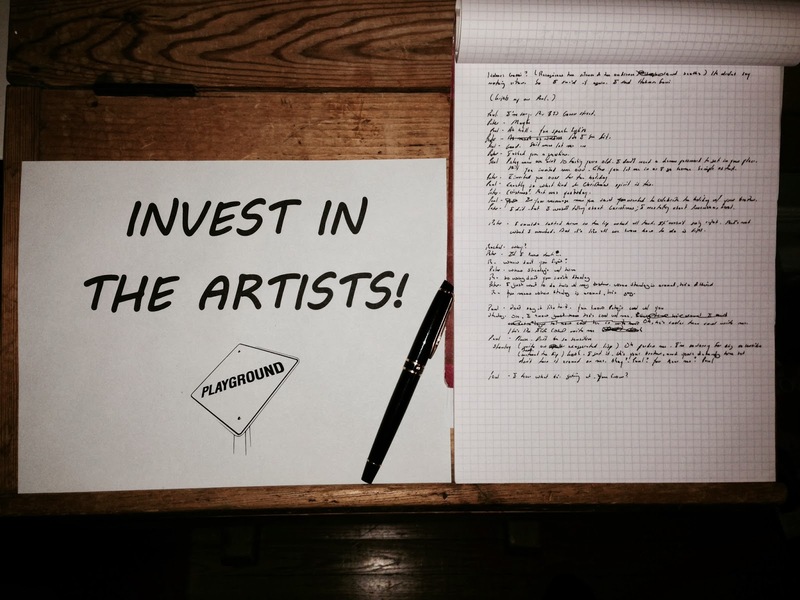 Invest in the Artists.